As if I have not been harping on this enough, I have a new book out. It’s called Science in the Beginning, and it’s an elementary science course that uses the days of creation as reported in Genesis to introduce scientific concepts. The course is very hands-on, with an experiment or activity in every lesson. 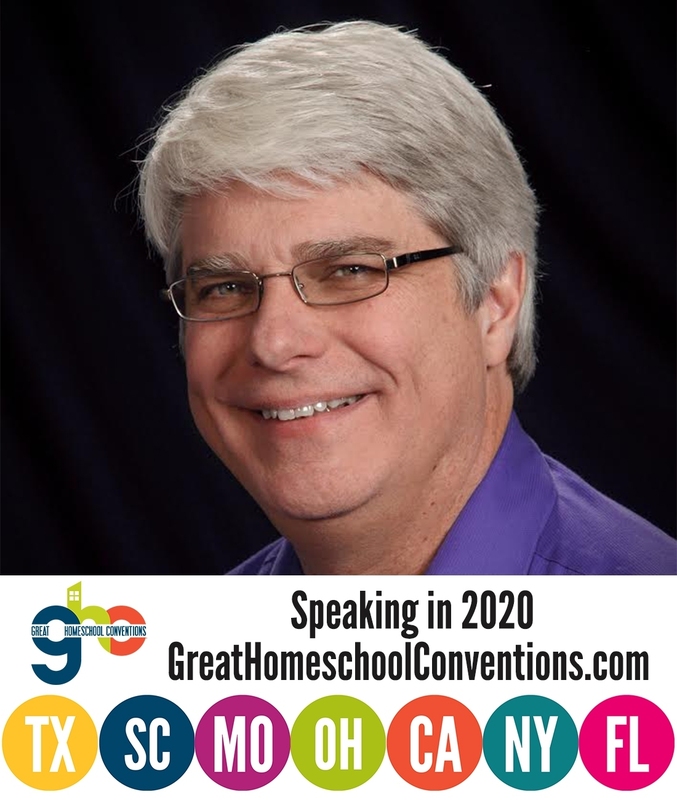 One of the homeschooled students who field-tested the course, Ryan McFall, has been kind enough to allow me to show pictures that were taken while he was performing some of those experiments. This one is about diffusion. Put water in a bowl and add food coloring. 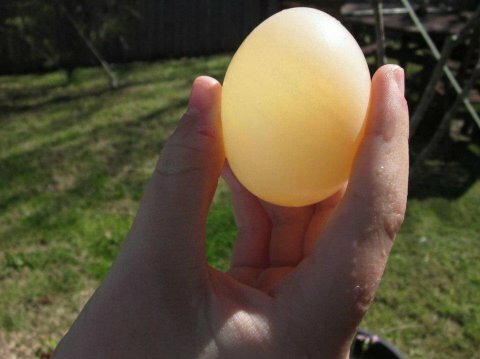 When the egg soaks in the water for a while, the food coloring travels into the egg, giving it color. This is diffusion – the passive motion of chemicals from areas of high concentration to areas of low concentration. 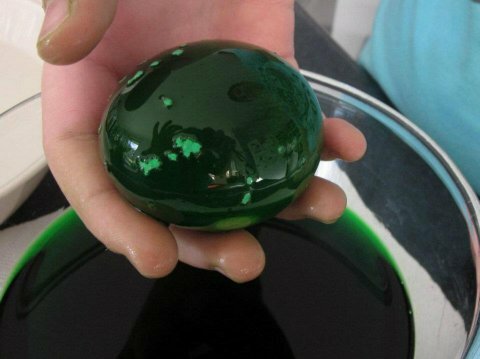 When the shell-less egg is put in the colored water, there is no food coloring in the egg, but there is a lot of food coloring in the water. 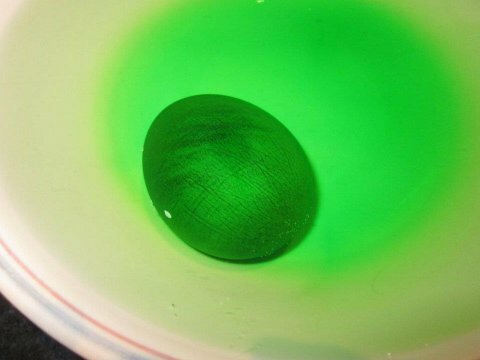 Since food coloring can pass through the thin membrane that surrounds the shell-less egg, it moves from the water (an area of high food-coloring concentration) to the egg (an area of low food-coloring concentration). However, when the colored egg is then put in a bowl of uncolored water, there is now a lot of food coloring in the egg but no food coloring in the water. 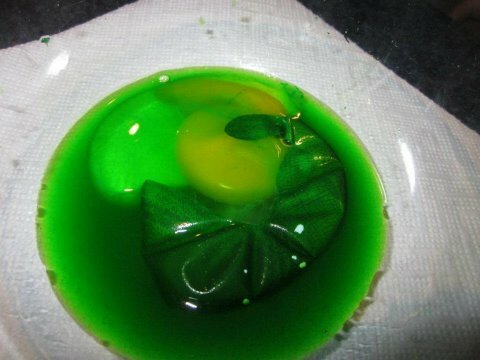 As a result, the food coloring moves from the egg (an area of high food-coloring concentration) to the water (an area of low food-coloring concentration). 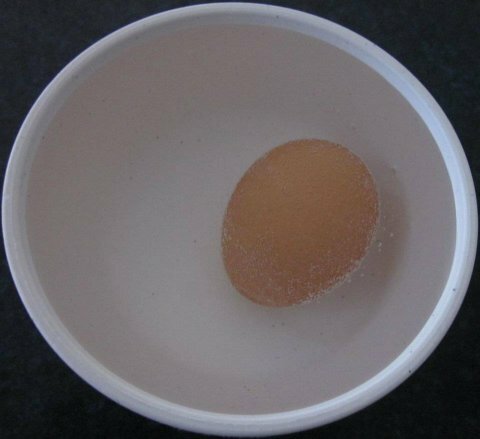 Of course, no such experiment would be complete if you didn’t allow the student to break the egg at the end! No fair! You didn’t include the whole “turning green” thing in the Biology textbook! Now I have to do it with my siblings. Who are loving the book, by the way. It’s true, Grace. My experiments have become “flashier” as time has gone on. I am glad they are enjoying the book! I guess you could, Melinda. The food coloring isn’t toxic. It would look really odd, though!